← Ban Pig Gestation Crates in New Jersey. The Servant Dagon is an unbelievably awesome vegan skateboard shoe from Malmö Sweden! 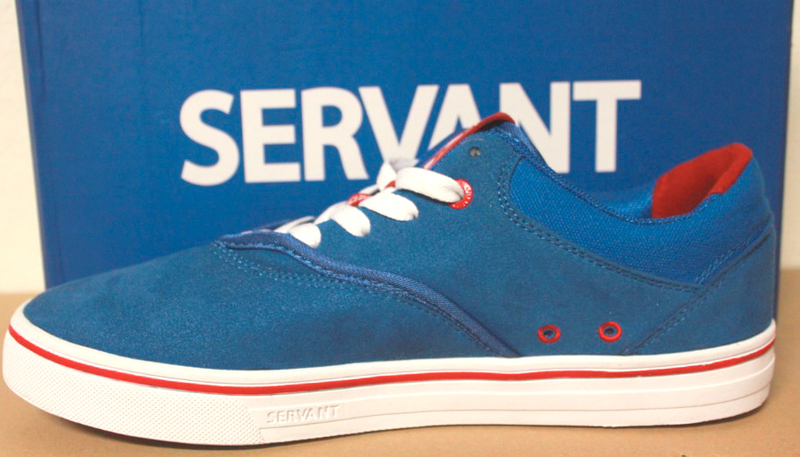 Servant may be a newcomer, but is firmly rooting itself as a core skateboard shoe company. Founded by a couple of skaters who have worked for the big shoe manufactures, they have created a line up that feels amazing on a skateboard and has some key features that make shoes longer lasting and fun to skate! 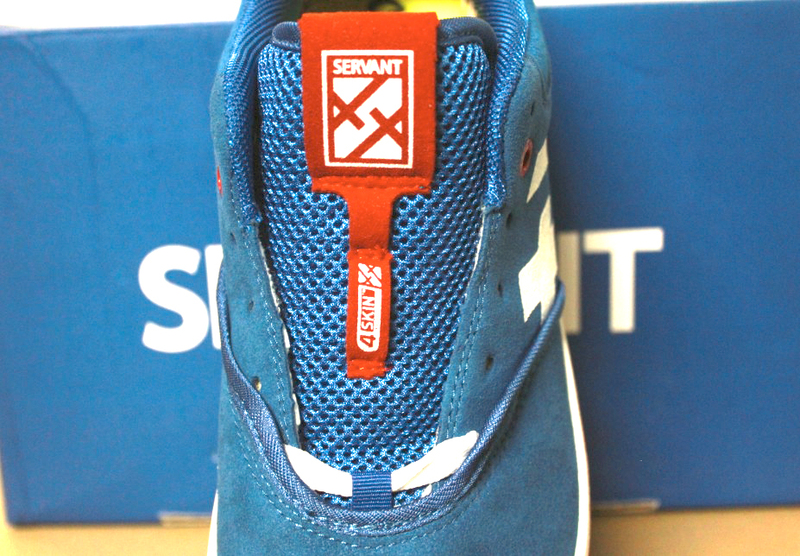 VSB was tipped off by a reader on our instagram page about Servant and the company graciously provided their premier vegan skate shoe, the Dagon, for review! The Dagon is a true modern cupsole. Slim enough that your feet can feel firm on the board with room to make quick maneuvers, yet enough padding that you’ll feel the protection of a much bulkier shoe. The upper is primarily a vegan faux-suede microfiber that Servant is calling 4Skin, (Who says the Swedes don’t have a sense of humor?) with a little canvas in the padded collar. The single piece toe-cap wraps well around from the outer to inner mid-sole with three solid and protected stitch lines. The piped edges of the toe cap not only embed one of those stitches, it also serves as a lace saver. It’s one of those features that skaters appreciate. You could find them on skate shoes throughout the nineties, but as style changed, smart features like this got ditched. The Dagon’s mesh tongue is squishy and porous. Soft on the top of the foot but still providing all the padding you want and allowing good air flow. 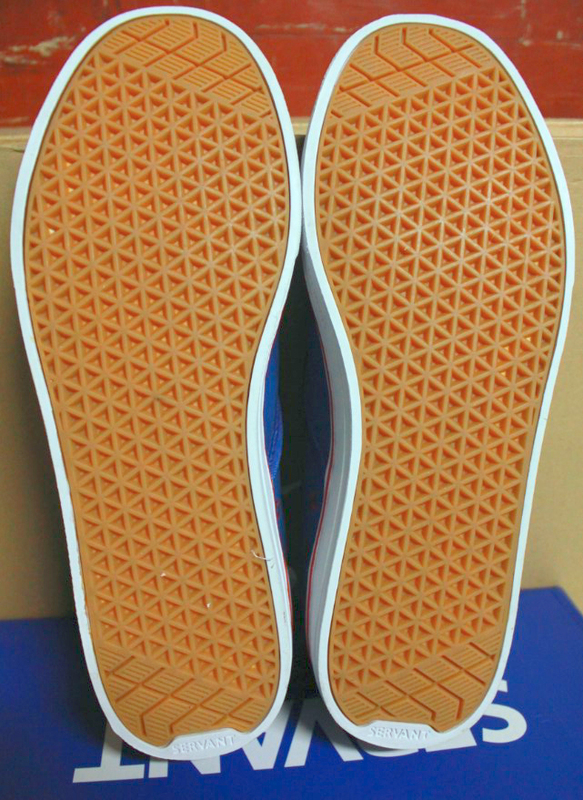 One of the biggest complaints we have with synthetic skateboard shoes are their breathability. The Dagon on the other hand breathes like a canvas shoe. No sweaty feet here. Check out that lace protection too! The bottom eyelet on the ollie side is totally covered from skate wear. 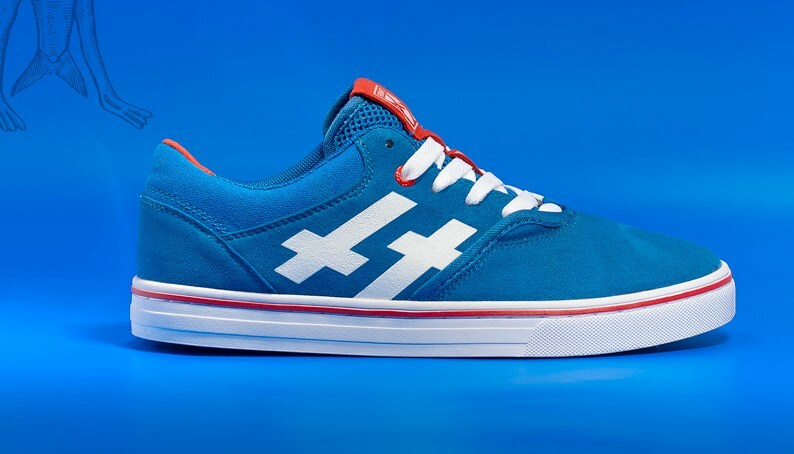 If you want to hide the 4Skin logo, just cross the laces over that middle loop, but we are wearing our 4Skins loud and proud while keeping the tongue centered. Servant’s footbed uses “Cush Strobel”. 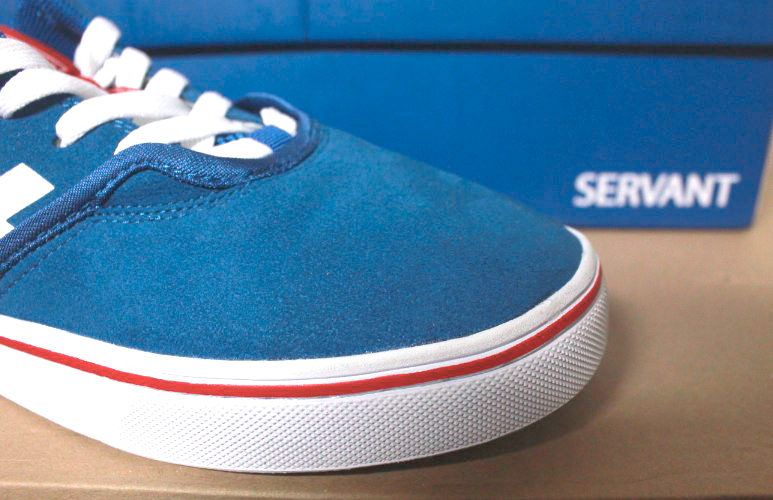 This is the luxury liner of skateboard shoes and it feels amazingly soft, running from the heel to toe. 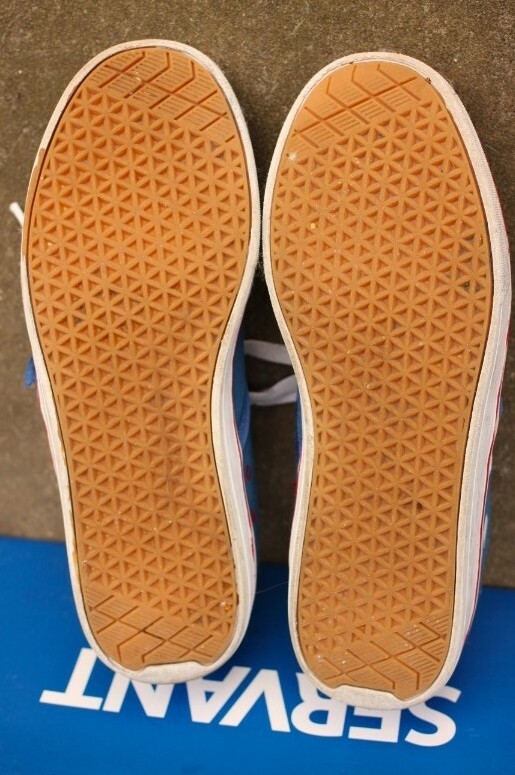 Most skateboard shoes have a stiff cardboard and foam inlay under the insole. 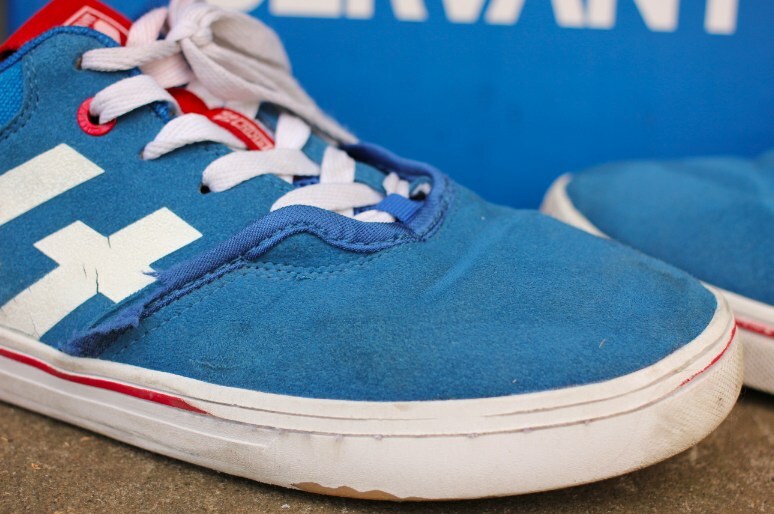 Go ahead, rip the insoles out of your Vans and you’ll likely find cardboard. Those cardboard strips eventually crack and breakdown. 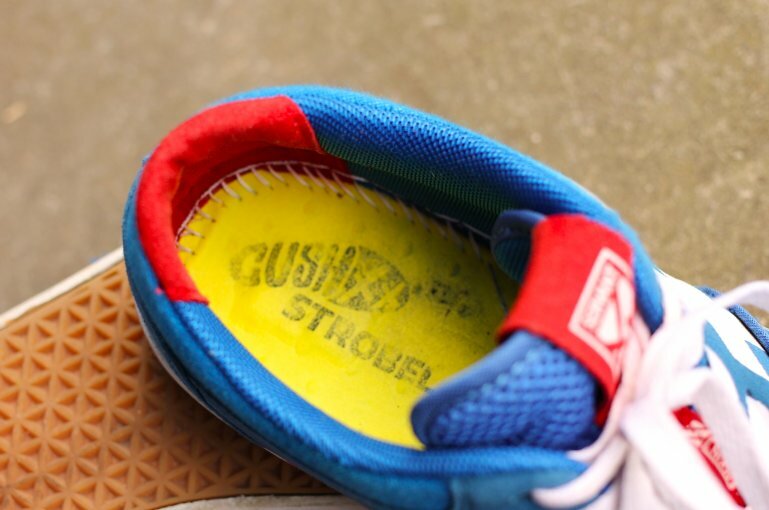 On the other hand “Cush Strobel” is stitched and glued but still fully flexes. The collars have a nice bit of padding but the silver lining is in the back collar scoop. That makes the heel lock in place, and combined with the 4Skin red faux-suede’s super soft texture, your feet feel solid with out the ankle burn. Socks or no. 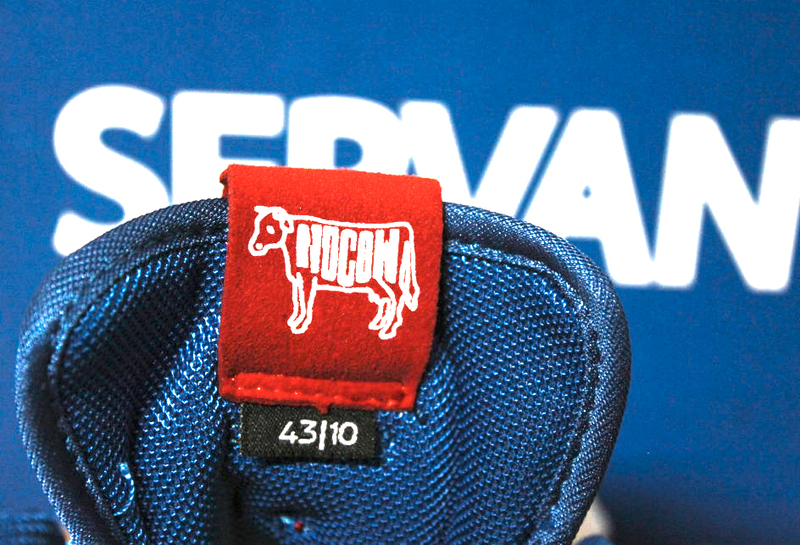 Jacob (Jakke) Ovgren provided the art for the insole. It’s sort of reminiscent of Hieronymus Bosch’s human-animal hybrids. Like out of a Dr. Octagon song, half-fish-half-carrot-half-man. 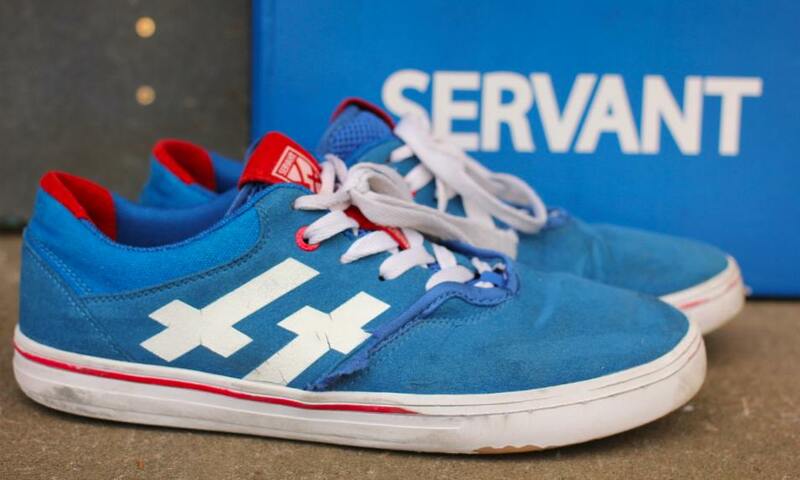 The Servant logo (which is more upside-down cross then cross makes this shoe the second most occult skateboard shoe. Emerica’s second BA.KU. still holds top billing in this department. A look at the business end of the Dagon. From 0-10 hours of skate wear. The piping is ripping for sure, but the stitching is well intact and shows no sign of letting loose any time soon. Besides some minor street scuffs the 4Skin faux-suede is holding true. 10 hours of skate wear. 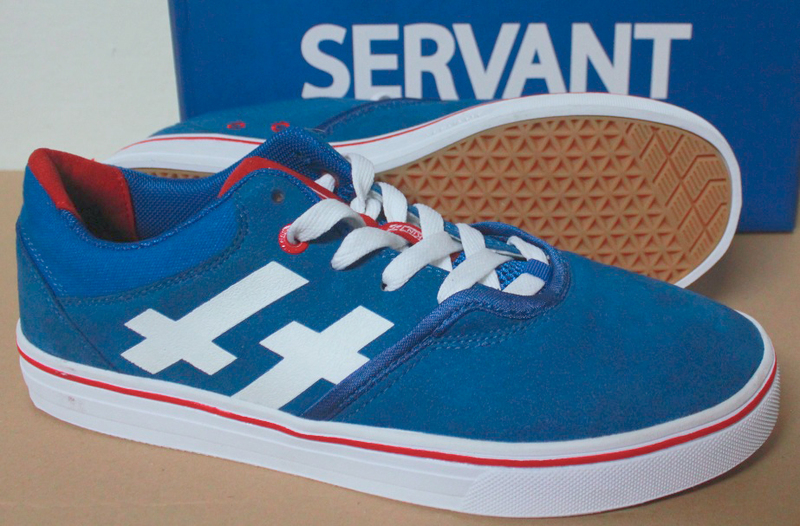 Servant’s sole have a triangle/polygon pattern with some deep pockets with the exception of the toes and heels. Good flex and board feel where it matters, and grippy toes and heels for tricks. These shoes are nothing if not strategical and thought out. Soles with 0-10 hours or wear. The Dagon is far from through the wringer and may last longer then the time we have to destroy the shoe. Halfway through the skate time usually put in a skate wear test, and they are looking like they’ve just been out for a quick hour-long session. So lets sum it up. The Dagon has hands down been one of the most comfortable shoes we have ever skated. The fit of the shoes are medium width and finding the right size was a snap. Servant has a “size finder” guide. Just pop out a ruler (metric or imperial), pen and paper. We reviewed the Dagon in size EU43/US10 which feels like the most solid ten we have ever skated. The shoe is super durable and breathes well, so you can skate all day and night, avoiding overly sweaty feet. The heels are protected with “Cush Strobel” and a solid collar. Lace protection and solid toe caps keep the shoes looking clean and consistent. Excellent art, style, and possibly the best value in a skateboard shoe we have seen in a long while. 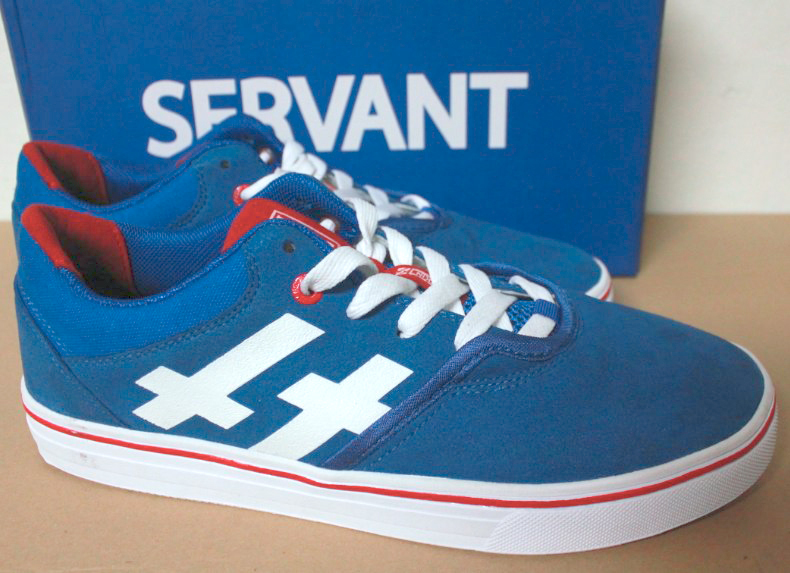 Servant sent us the Speedblue colorway but they’re available in Red/Black and Black too! The best we save for last, the reason we do this site. No Cow! Represent! 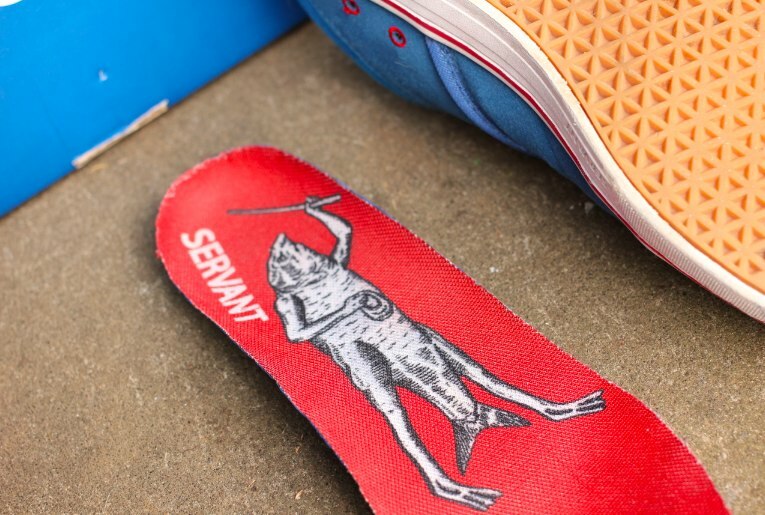 Skateboarders everywhere, the Servant Dagon should be your next skateboard shoe. Any shoe that makes you think of Void when you look at it is probably pretty good. Best skate review I have seen on the site, and great pictures too. Looking forward to more before and after shoe reviews. Keep up the good work Mr. Fakie. If these came in all black I would definitely try them. I used their sizefinder, and for 10 inches heel-to-toe they recommend a US 7, which is a full size smaller than the smallest size I’ve ever worn in my adult life. My feet are a bit wide, so for shoes with really soft uppers I may wear an 8 and overflow the soles a little on the sides. For sneakers I usually wear a 9 or 9.5 and live with a little space in the toes. How did your size 10s compare to the typical US shoe size? Are they similar to other brands’ 10, or are they really a full size larger than a typical 10? Really excited about these kicks, but with no apparent retail location where I can try em on, and hard-to-believe results from their sizefinder, I am pretty apprehensive about ordering.